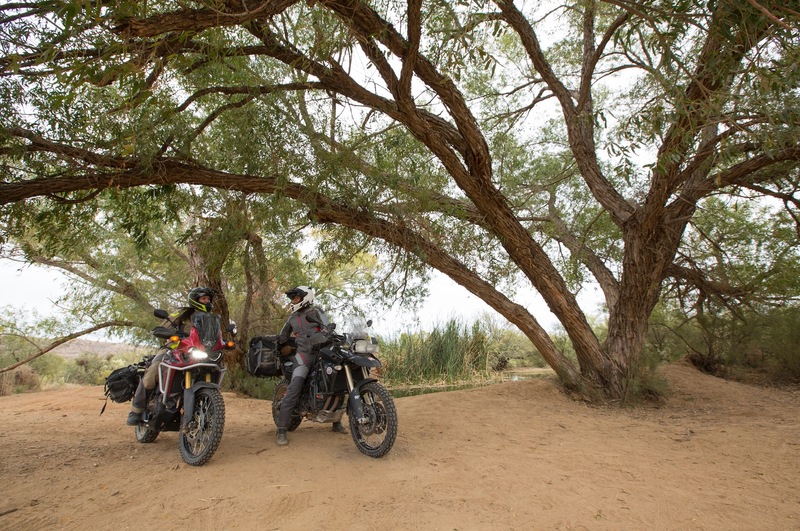 Designing female-specific adventure motorcycling gear requires focus and perspective. 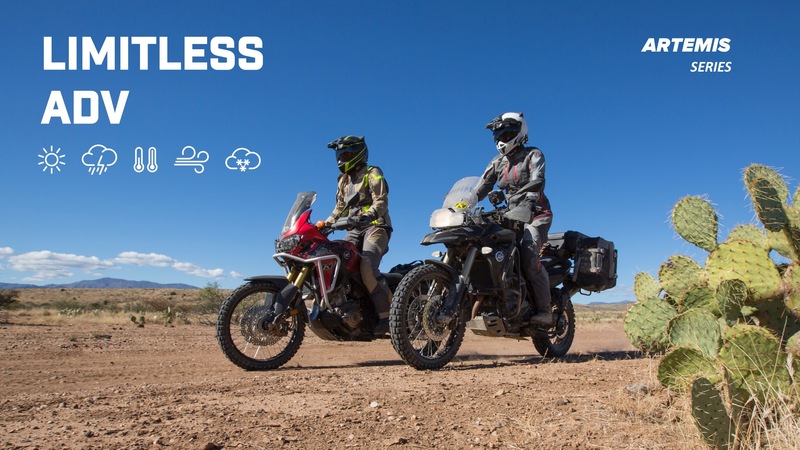 That’s why KLIM enlisted our most talented in-house female product developers to build the perfect, dirt-worthy, limitless adventure set of women’s riding gear. 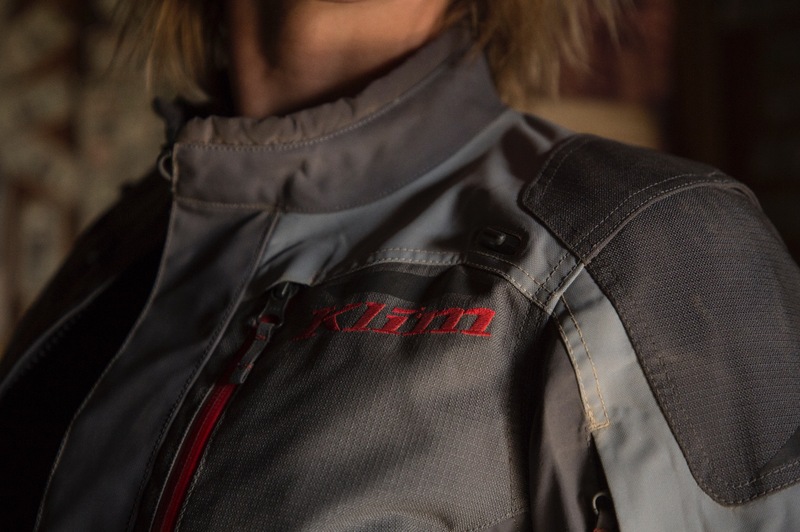 The product of extensive research and crowd-sourced feedback from a deep pool of female adventure riders, the all-new Artemis combines KLIM’s renowned apparel technology and functionality into a custom-engineered piece for women. Robust and equipped for intercontinental travel, and comfortable enough for day-trip explorations, the Artemis features absolute weatherproofness, stubborn durability, excellent cargo capacity and a custom-engineered, female-specific comfort-mapped ventilations system featuring ten (10!) adjustable ventilation ports. 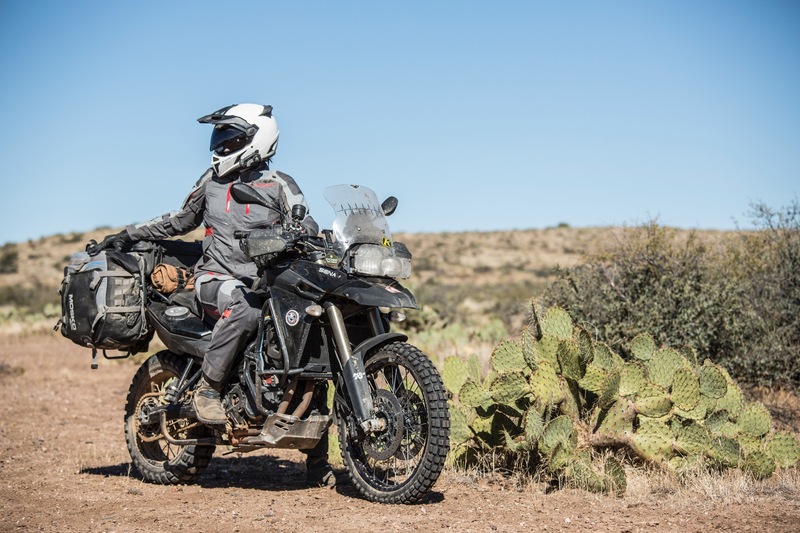 The KLIM Artemis utilizes KLIM’s GORE-TEX® Fabric laminate technology to seal out external elements without complicating the apparel system with cumbersome “waterproof” liners. GORE-TEX® laminated to the external performance shell guarantees 100% waterproofness via its proprietary breathable membrane. Artemis was designed to extend your riding options and inspire confidence when tackling variable terrain. Its inherent durability ensures it will perform through it all. Starting with KLIM’s exclusive KARBONITE™ ripstop overlays on the elbows, shoulders and knees, this gear set is serious about resisting wear. Add in genuine goat leather inner-knees, and the system is clearly off-road oriented and dirt worthy. As a world travel-worthy gear set, the Artemis is engineered to extend comfort despite external factors. That’s why the KLIM engineering team worked hard to custom comfort-map the Artemis’ intelligent ventilation system to work in concert with the female form. 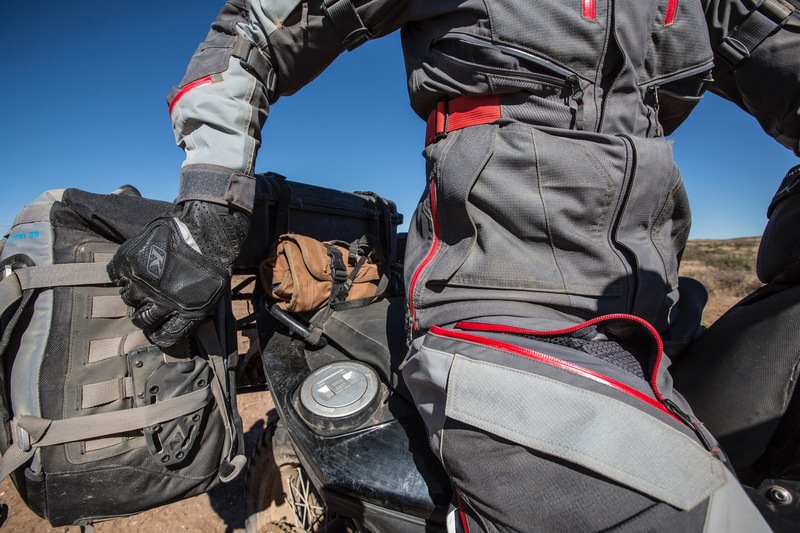 Ten custom ventilation port locations in the jacket and four in the pant ensure adequate airflow throughout the combo with premium KLIMATEK™ cooling mesh backing the armor pockets. This ensures the most efficient airflow and cooling effect possible when the riding action or temperatures heat up. When it comes to comfort, fit can be as important as ventilation, and without proper fit no garment is going to perform, as it should. That’s why KLIM’s product development team engineered adjustment systems into the Artemis pieces. Each jacket enjoys four arm and two waist quick-adjust straps and zippered hip gussets to fit different body types or accommodate for layering options. Artemis pants feature adjustable snap hem closures to fit varying boot and leg shapes and an adjustable waist cinch helps you dial in the right fit. A soft collar liner keeps you in the jacket longer and the upgraded polygiene anti-odor liner means both pieces can go for months without smelling like it. KLIM utilizes the best armor systems in the world. And the Artemis enjoys this standard with a full suite of D3O® level 1 shoulder, elbow, back, hip and knee armor pieces to provide coverage across the board. To keep riders more comfortable, KLIM includes KLIMATEK® cooling fabric technology in the mesh armor pockets throughout. This enhances D3O®’s ventilation significantly. Also, unique pad retention systems on the upper calf of the Artemis pant keep knee armor in place throughout riding movements. There are ten different pocket choices in the Artemis jacket alone, providing quick-access, large volume or discreet storage options for all your travel needs. From concealed document pockets to a massive rear storage area, the Artemis is engineered to contain everything you could need. The Artemis Jacket and Pant will be available in Spring 18 with 2 new jacket color ways and 2 new pant colorways. Pants will also comin in expanding size ranges: Regular 4-16, Tall 6-12. Pricing for the jacket will be $699.99. The pants pricing will start at $549.99 for the regular pant sizes and $569.99 for the tall pant sizes. All prices are in US.